Well in the middle of working on the Hometown Tour last night my power went out. So I figured that as soon as it came back on that I would be able to finish and post it. So around 4:30 this morning when it finally did come on I couldn't find my post anywhere. I am sure it is somewhere on my laptop but for now it's gone. In place of that I came across this a couple of weeks ago. I really didn't even know we had a state song. I am so wrapped up in football that the Alabama Fight song is what comes to my mind. lol So here is actually the lyrics to the official state song of Alabama. The words are by Julia S. Tutwiler and the music by Edna Gockel Gussen. I couldn't find a sound bit for it but you can see a high school choir singing it here. By the sea thine orange tree. Deep and blue thy Tennessee. We will aye be true to thee! Bold thy Warrior, dark and strong. Where thy snow-white cotton shines. Hide in thy exhaustless mines. Loyal hearts what'er we be. Wealth of mind hast thou to fee. Take, O take the gift and giver. I will aye be true to thee. 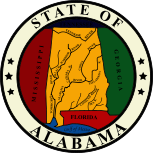 You can go to Alabama Department of Archives & History's website for more facts and information about our great state. If you've read some of my previous posts you know my love of Rick Bragg's writing. His latest book The Most They Ever Had doesn't disappoint. Having written about his family in 3 of his past 4 books, with this book Bragg shares stories of the mill workers in Jacksonville, Alabama. He shares of the sacrifices the mill workers and their families and does it in his trademark storytelling way. Having grown up on the outskirts of Jacksonville myself I remember the mill, but I never realized what life was like for those hard working people who kept it running, especially those who worked their in the years before my birth, before the safety measures. My dad worked for a time at the mill Bragg writes about when he as 16 years old. Others of my family members worked in the mills in neighboring Piedmont for many years. I currently live in a mill town and have seen how the decline of manufacturing has effected our town. My father-in-law who once worked at a mill here in an executive position always remembered who really made the mills run. As he once told me, "I've never sewn a shirt." So if you're a fan of Rick Bragg don't miss The Most They Ever Had and hopefully you will come away with a new appreciation and understanding of the lives of those who were called mill people. Thanksgiving is a time for reflection and family. But let's not kid ourselves. It's mostly about food. 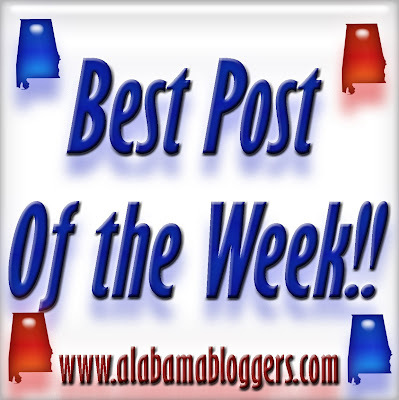 So I was on the prowl for an Alabama Blogger who could guide us through this edible time of gratitude. Cookin' Mimi is a great place to search and destroy some great dishes. And I use "destroy" in the best possible way. "Mimi" is actually Micha, who's been an epicurean since before she could pronounce such words as "epicurean." Her first published recipe was at the tender age of 4. She's not afraid of butter and cheese and all things that make dining a treat. Her site is nicely organized into classic categories with the handy addition of titles such as "easy" and "meatless" and "kid-friendly." My go-to category at Cookin' Mimi and in real life is "bread." Here you will find delicacies such as homemade Refrigerator Rolls and gorgeous Buttermilk Biscuits. So be thankful this week. For carbs. Looking around Margarita Grill, one notices the hand painted Margarita paintings displayed gallery style on the walls. You begin to realize, here the Margarita is something special. But don't think the food is given a second look. At Margarita Grill the food is what is really the show stopper. Owned and operated by brothers, Javier and R.J. Jerez, it isn't unusual to find the pair strolling through the restaurant, talking to customers, making certain that the food is to the customers satisfaction. It is something that the pair find as important as the food quality and taste. With meats cooked over mesquite wood, the food is certain to have a distinct tex-mex flavor. The menu offers both traditional and unique Tex-Mex dishes, one will find it hard deciding what to order. With choices such as Cuban Black Bean Soup ($5.25) and my favorite queso dip ($4.95) you cannot go wrong in your selection for starters. I go to Margarita Grill when I want a good healthy meal. "Healthy? ", you ask, "At a Mexican Restaurant?". YES! For a bargain price of $ 4.50, I order up the steamed vegetables. Containing green peppers, onions, carrots, squash, zucchini, mushrooms, corn on the cob and broccoli with a garlic butter on the side for dipping, the dish will have you coming back for more. The vegetables are seasoned just right and will have you returning for more. My mother, who was my lunch companion, chose to order the Taco salad ($7.95). The Salad is a huge serving of fresh lettuce, vegetables, cheese, seasoned ground beef and a dollop of sour cream and served in a large light and crispy shell. Served with the salad is a Creamy Mexican Salad Dressing that is exceptionally good. I even enjoyed dipping my steamed vegetables in it. Margarita Grill also offers a children's menu as well as a delicious dessert menu. Happy Hour is from 3-6 pm offering specials such as, Bud light & Budweiser bottles for $1.50. Bud light draft is $.99 cents. And the famous margaritas are $4.95. Entertainment such as live music or karaoke can be found Thursday through Sunday. After working on it agonizingly for months, I finally managed to get my thoughts on paper and write my version of "Blogging tips". It was horribly awkward for me because I usually write posts about the silly, the inane, the crazy...being serious and all how-to-ey was WAY out of my comfort zone. But I got so much positive feedback from it that I'm so glad I finally (wo)manned up and wrote it! At any rate, we've all discovered tips about blogging along the way that have opened doors, lit lightbulbs, made it easier, and made it more fun and rewarding. So why not learn from each other? What are your tips? Either leave them in the comments, or if you've written a how-to post in the past, link it up! When I attended college in Atlanta, more than half of the students were born and raised outside of the South. This led to confusion when I said things like "I'm fixin' my hair." OR "Grab that buggy." However, I patiently taught my new transplanted friends the melodic language of the South. One I'm proud to speak even today. This is probably one of the main reasons I like the Alabama blog - Okra Cola. Drew, the author, considers himself 25%, 50% and 100% Southern - depending on your point of view. 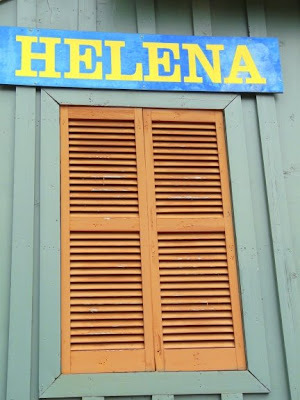 I'd lean on the greatest percentage simply based on his series: Southern Word of the Week. Who can't relate to the confusing nature of terms such as "tump" and "stove up?" Okra Cola clears the air. He also takes on classically Southern hobbies, delicacies and toys. Including squirrels that fall into all of those categories. Vote for Alabama Artisan and Small Business Owner to Win! The finalists were flown to New York City to give live presentations to an expert panel of judges. Their videotaped presentations are posted on Forbes.com for further reader voting, which ends on November 30, 2009. The grand-prize winner will receive $100,000 in cash and advertising. In the first phase of the contest, small business owners submitted 500-word business plans; 20 semi-finalists survived. Forbes.com users had the opportunity to review the plans and self-recorded 30-second “elevator pitch” videos before voting for their top five. We had an awesome time at Jason's Deli today for our November Alabama Bloggers meet-up! If you were there, link up so we can all find each other! In Homewood for an appointment, I got the great task of deciding where we would go for lunch. Homewood is a metropolis for great restaurants. Really, it is hard to go wrong. One of my favorites is Out Takes. Out Takes specializes in unique, delicious and healthful foods. Out Takes offers dine in or take out service. Lunch is served Monday - Friday from 10:30 AM-3PM. Out Takes also offers corporate and personal catering. I went in with my lunch companions and found there was a wait to order. Though, the wait was short lived and the line moved quickly. This process gives you plenty of time to look at the food case and see the salad sides that are being served. It's a hard decision, for the choices are great. Soon enough (about five minutes later) our meals were delivered to your table. Anytime I get the opportunity to go to Out Takes I order the salad plate for $5.00. It comes with a choice of three sides from these delicious options: Mediterranean Salad, Old Fashioned potato salad, spaghettini Parmesan, potato vinaigrette, pasta pesto, roasted vegetables, lite penne pasta, fresh seasonal fruit, or ranch vegetables. I almost always get the spaghettini Parmesan, ranch vegetables, and the potato vinaigrette. Today was no different. My lunch companions opted for the penne pasta, Mediterranean salad, ranch vegetables, fresh fruit and potato salad. All salad plates are served with pita crisp. If salads aren't what you fancy then order up a sandwich. There are several choices to chose from One of the house favorites is the buffalo chicken sandwich. It is spicy chicken that is topped with melted provolone cheese, lettuce and tomato on a crusty swiss romano boule. Topped with blue cheese or ranch dressing, it sounds like something bold and flavorful. There is also the Turkey Focaccia sandwich, the southwestern vegetarian grill, the Cuban, a marinated chicken sandwich to name a few other choices. All sandwiches are served with chips and a pickle spear. Most sandwiches are $6.25. 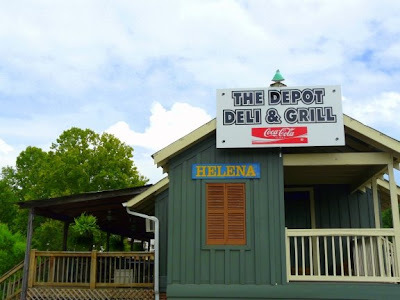 Don't forget about the chicken and tuna salads served as salads or sandwiches as well($4.95-$8.95). There are also a number of wraps and classic sandwiches (for the kids and picky eaters!). A recommendation......Be sure to purchase one of the cookies as you order your meal. You can order a dozen ($6.00) or each for .55cents. My favorite is the heath bar. It is so chewy and melt in your mouth good. Oh, I am craving one now! Oh, and just for the record.......some of the best sweet tea you will ever drink. Out Takes 5/5 stars for me! Editor (Rachel's) Note: Outtakes is one of my favorite restaurants in Birmingham! It's a must-try!!! 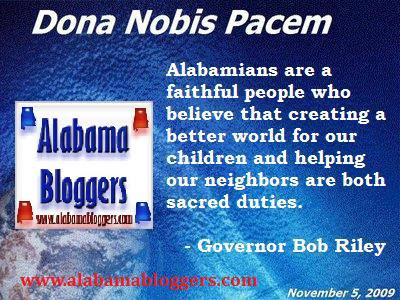 Today I want to highlight another Alabama author and historian. I first met Harvey M. Jackson III when I took an Alabama History course at Jacksonville State University. I had a few electives I still had to take and I enjoy history. I am ever so glad I took one with Mr. Jackson. At the time I was there he was the Head of the History Department at JSU. Sometimes history can be a bit boring if you don't have the right teacher. Mr. Jackson brought the history of Alabama to life. He's an amazing storyteller. It helped that he had personal stories of his family to add to the lectures. Jackson has written several books about various parts of our Alabama history. It was kind of funny when my son brought home his Alabama history book from school this year and I was helping him study when I see Mr. Jackson's name as one of the co-authors. 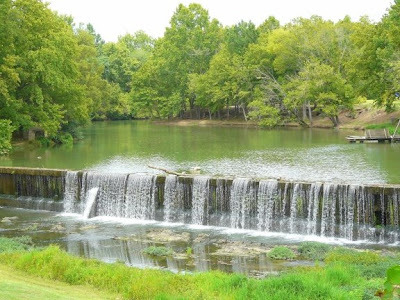 Living near one of our state's beautiful lakes I've enjoyed learning about the building of the dams and lakes. Rivers of History and Putting "Loafing Streams" to Work are two of Jackson's books I have enjoyed reading. Jackson also writes a weekly column for the Anniston Star newspaper. His columns always give me such a laugh. You can read one of his latest by clicking here. He is also Eminent Scholar in History at Jacksonville State University. Okay, so I'm a day late in getting these posted. But hey - a late winner is better than no winner! Rhoda from Southern Hospitality, one of the biggest and best bloggers in Birmingham, is one of twenty-five hostesses for an amazing Holiday House. The House is in Southlake, and looks to be exquisite on its own - before these talented women got their hands on it to decorate it! 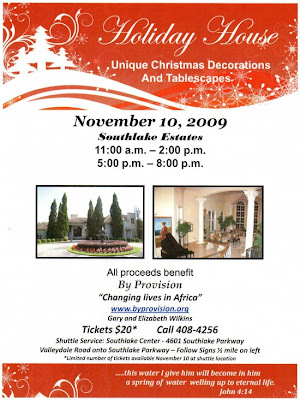 The proceeds from this event are all going to missions - what a great excuse to go see a gorgeous house! The event is only one night - November 10th. Don't miss it!! Rhoda has tickets available, or you can buy them at the door. I've been seeing some AWESOME Halloween pictures in my desperate attempts to get caught up on my blog reading. However, I know that there are more out there! So, link up your Halloween posts here - whether they're you dressed up, or your kids dressed up - and let's all enjoy a Halloween Carnival o' photos! Oh - and I want to see some awesome pumpkins, too - especially since I totally dropped the ball and didn't even get a pumpkin this year. Can't wait to visit your Halloween Festivity recaps!! 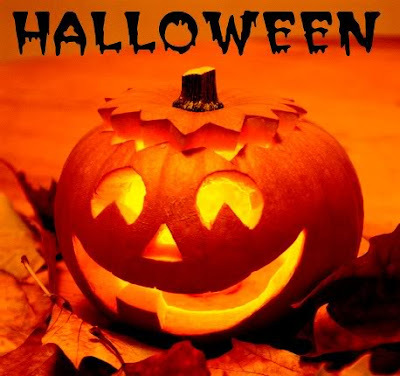 Be sure to link the direct link to your Halloween post - you can usually get this by clicking on the title of the blog post you want to link in, then copying the link at the top of your browser. Now mommy bloggers, be gentle. I'm just a 30-something career-obsessed single gal who hasn't heard the clock ticking. And truthfully, kids and I get along really well. I'm just not ready to be legally obligated to one. I met Alabama blogger, Marie, at a recent blogger meet-up hosted by this very site and she was delightful. But let's skip Marie and get right to her blog, All Access Pass to Jack. Because that gets us to her snazzy son Jack. Jack is an adorable 4-year-old boy who loves pie and Jillian Michaels - hard romances to balance. Jack also has some special needs. But lucky for him, he has a very special Mom. When you read All Access Pass, you are transported to a world of patience and love and gratitude. It's a world where many of us would not react the same. Marie and Jack remind me that the complicated stuff is not really that complicated. And the simple stuff is pure gold.